It was a wild week, meeting after meeting, one demand of me after the next, new creative awareness ideas taking shape, others needing more money than there is, running late for some deadlines, squeezing in an interview with Juliet Eilperin from Washington Post for a book she is writing about sharks, and to top it all an on camera interview with the famous Anderson Cooper for 60 Minutes, also about sharks. Had Michael Gavshon, the producer of the insert, not told me they would be giving me a hard time during the interview I would have been way more relaxed and would have felt less that I had screwed it up. I’m at home, swimming free…But who cares about all of that now? Here beneath the surface of the water all the tension of the week is washed away. 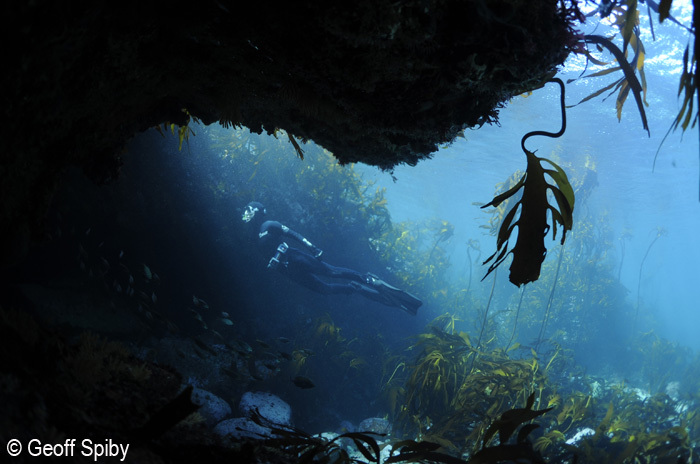 I’m momentarily lost in the kelp jungles of the Cape with Geoff Spiby, one of South Africa’s well known underwater photographers, and an old connection who I have not see for some time. Geoff and Lynn, his wife, are at their holiday home at Smitswinkel Bay for the long weekend and celebrating their ownership of this piece of paradise for the last 25 years, a place stuck in the pleasant time warp of no cars, cell phone connection or electricity. I am privileged to share it with them and what better way than to go freediving on such a perfect day. Geoff shares my camera and I know he will take some great pix as always. Geoff hangs at the surface before decending to show me a Happy Eddie Shy Shark, endemic to South Africa – to see this special little shark go to my gallery and select Underwater, South Africa, link above. 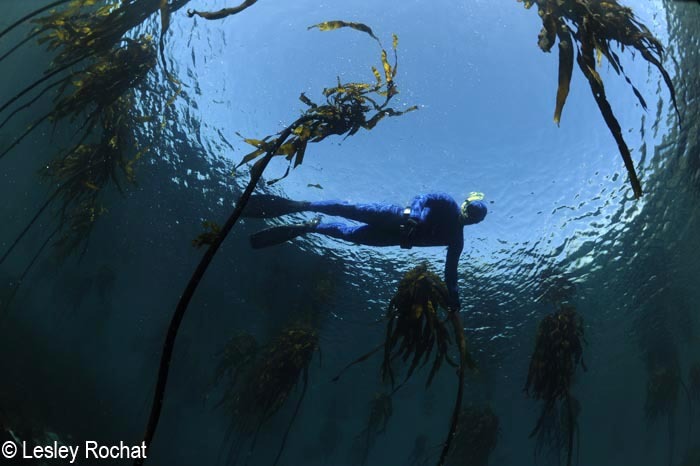 Just read your blog…it is fantastic… great pics, especially liked the one with coloured boulders in foreground and diver and fish in background… and the kelp forests look amazing!!! 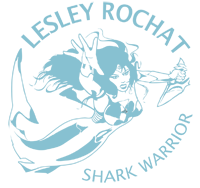 Your writing with the pics is so evocative … right from your heart… sounds like you had a great Sunday there! 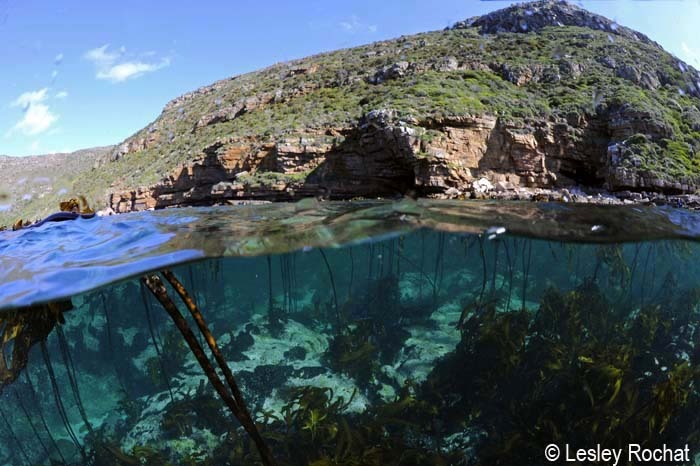 Hey, ive only recently started freediving and did a refresher course for my scuba licence since i moved away from the city of pretoria to stellenbsoch and was wondering if you could please tell me where this spot is, i would love to go dive there!